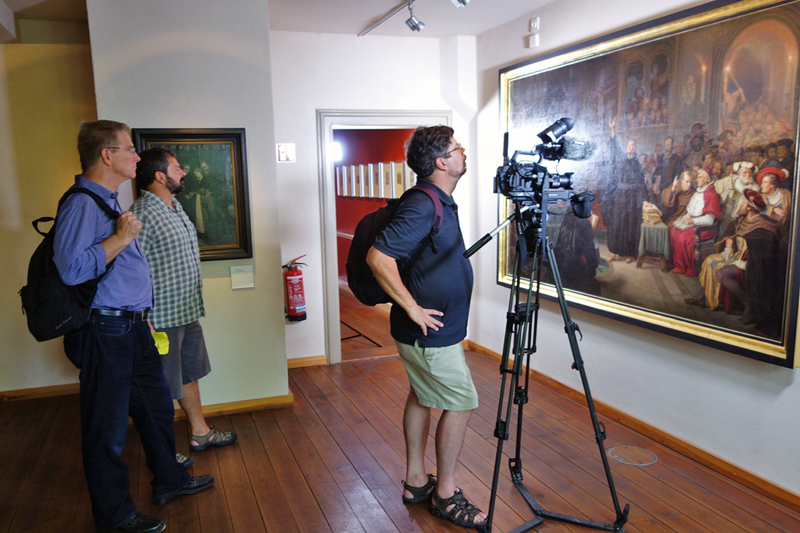 We're in Germany filming a one-hour special about Martin Luther and the Reformation which will be released in a year for the 500th anniversary of the Protestant Reformation. 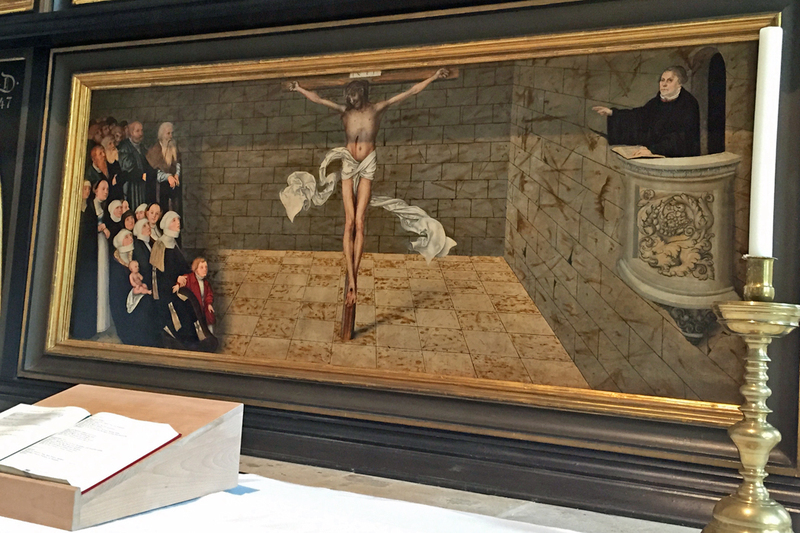 Luther was the first guy to stand boldly against the Holy Roman Emperor and the medieval pope -- and actually survive. 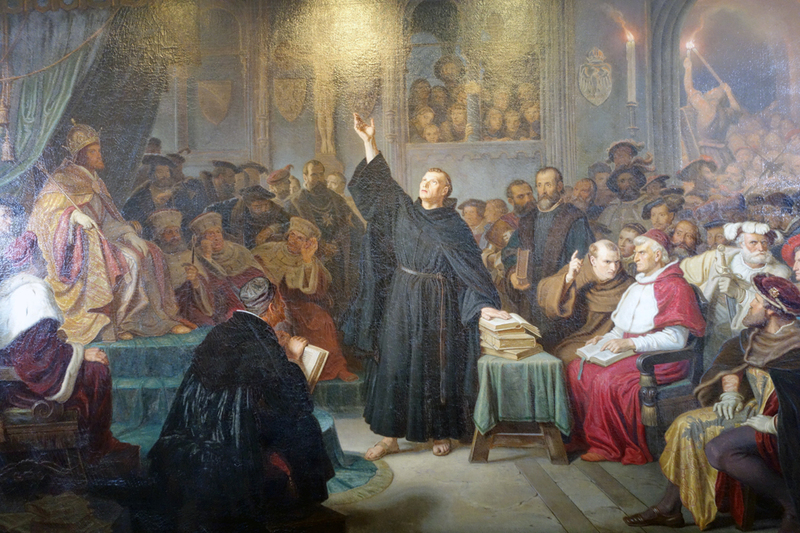 In this dramatic showdown before many of the most powerful people in Europe (at the Diet of Worms) Luther is told to recant all he wrote in his trouble-causing pamphlets. He said, "Unless you can convince me by scripture or by clear reasoning, I am bound by my beliefs. I cannot and I will not recant. God help me." From there the plot thickens...and Luther's hoped for religious reforms go far beyond his intent. Luther was a brilliant PR man with a coarse and edgy wit. He had Germany's top political cartoonist for a buddy, and the printing press to amplify his ideas. 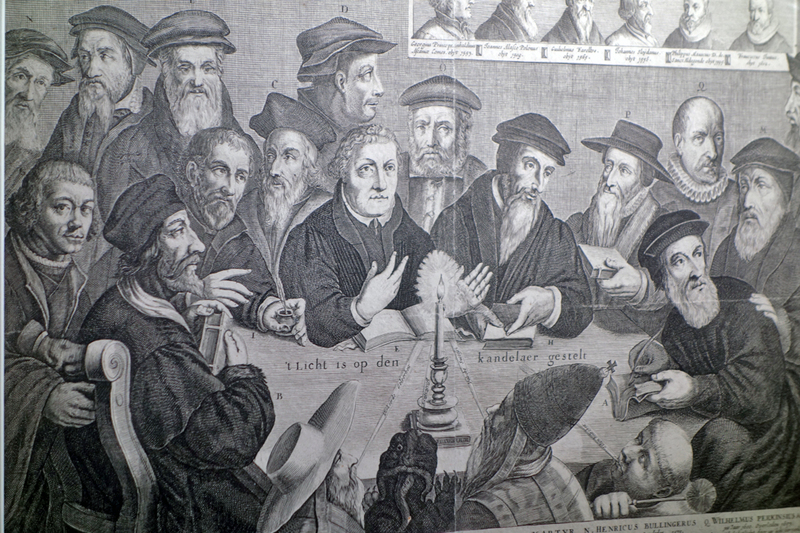 This propaganda etching, typical of the inflammatory cartoons of the day, shows Luther, Calvin, and the other great reformers lighting the way for religious freedom while, at the bottom, the pope, a cardinal, a monk, and the devil do their best to blow out the candle. This is the first documentary-style special we've produced, and it's heavy on art. And art tells the story vividly. Producer Simon Griffith did a good job of keeping our script balanced and reining in my enthusiasm for Luther's groundbreaking work. 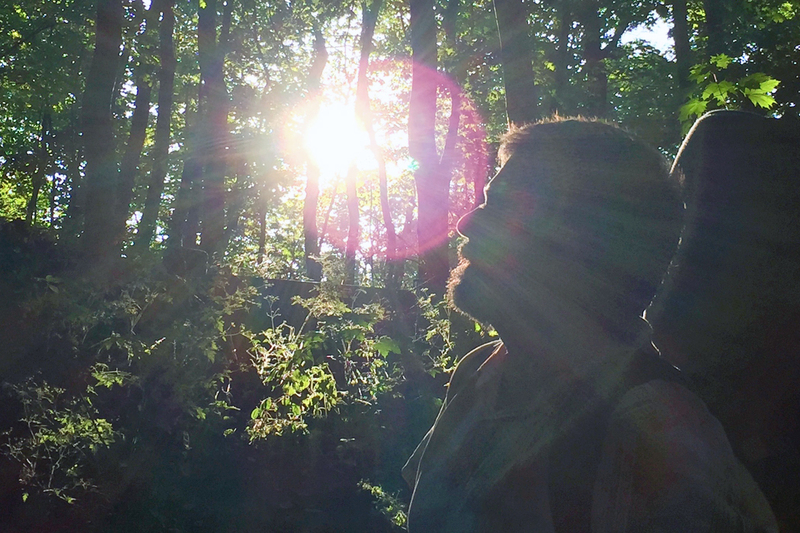 But here, in the forest beneath the castle where Luther hid out as he translated the Bible into a language regular people could read, it seems Simon is having a special Lutheran moment.